A guest post by David Hammond. For a background, see also our previous post on the publication of the 100 Series Rules. David Hammond is the Head of Maritime Practice at 9 Bedford Row International Chambers London, author of the 100 Series Rules, a former frontline Royal Marines’ Officer and former head maritime lawyer to the United Kingdom’s Chief of Joint Operations for counter-piracy matters. He is an Associate Research Fellow of the Greenwich Maritime Institute and international speaker on maritime Rules for the Use of Force. The comments within this post comprise the personal opinion of the author and do not constitute any measure of formal legal advice whatsoever and howsoever read. Formal legal advice may be obtained on instruction. Also posted at All About Shipping and the Bridge. Over the past two years, the 100 Series Rules (“the Rules”) have been conceived, researched, drafted and finally published in soft-copy form as of May 3, 2013 as a first edition. They are a first for the commercial maritime industry and go one step further than simple guidance for the drafting Rules for the Use of Force (RUF) and guidance as to where responsibility lies for producing RUF as an inclusive part of a commercial contract. At the time of writing, the 100 Series Rules have been short-listed in support of one of the five finalists for the Lloyds List Global Awards 2013 Maritime Lawyer of the Year. At the very least, the Rules provide a lawful core set of principles and RUF for use by emerging companies. At best, they provide a point of reference that can be relied upon as a robust legal interpretation for the lawful use of force by international organisations and State entities, enabling auditing, standardisation and accountability in any chain of events where force is lawfully used at sea in self-defence. The Rules have been developed for the benefit and use of the entire maritime industry, intended to be referred to without the imposition of State or geographical boundaries, overly restrictive interpretations, interference from commercial entities seeking commercial advantage or State authorities seeking State advantage. In short, the previous lacuna in provision to the international community of an actual model set of rules has been filled and is now being further developed alongside the registered “Supporting Entities”, as highlighted on the website. The law that underpins the Rules is that of individual self-defence; itself a universal concept that can be found to outdate modern legislative interpretations going back to the Bible, Koran and other main religious texts by way of example. It is the individual right of all persons in every region, in every country and that includes indigenous seafarers, merchant sailors, as well as Privately Contracted Armed Security Personnel (PCASP), to be able to lawfully defend themselves against criminal acts of violence. The Rules themselves are concise in terms of their core principles. They are concise in their outline of graduated defensive response measures that individuals may be required to undertake to protect themselves and those immediately around them. This, of course, includes the use of lethal/deadly force as a last resort, in self-defence. The drafters of the Rules have researched significant numbers of individual State’s legislation covering the issue of self-defence (presentations containing this research may be found open-source on the website). They have subsequently identified the international objective law test of what is “reasonable and necessary” within the Rules, while accounting for proportionality in the use of any force as against an identified treat. The objective test stands as a higher standard as against which actions may be measured than that necessarily found in some State’s legislation at the individual national subjective level. In some cases, individual State’s legislation may well exceed that laid down in the Rules. The 100 Series Rules will not, however, provide any form of indemnity or immunity whatsoever against civil or criminal liability when force has been used unlawfully. The Rules are currently supported in their conception and use by over 40 international entities. These currently include a main flag State, ISO, Lloyds Register, BIMCO, UNICRI, SAMI as well as international maritime associations representing the world’s shipowners and ship managers, international PMSCs, insurance and maritime intelligence providers and leading international law firms specialising in piracy matters. In short, this is an international effort driven by leading commercial entities based upon practical and pragmatic real-time experiences, combined with the general call for clarity of rules, transparency in their use and accountability for the lawful use of force at sea. In support of ISO PAS 28007-2012, the Rules were first submitted to ISO in October 2012. They were accepted a work item and are undergoing a final review at the time of writing. In June 2013, the Rules passed through the IMO at Maritime Safety Committee 92 as an INF paper sponsored by the Republic of the Marshall Islands, ISO, BIMCO and the International Chamber of Shipping. They were subsequently noted by the IMO and unchallenged for the detail of their contents following the session. There appears to be a dual-track approach to this issue of standardisation as between the US-based ASIS organisation and the European International Organisation for Standardisation (ISO). This article will not debate the pros and cons of the two initiatives, noting only that up to the point of the release of the 100 Series Rules, there was no other reference to an international model standard freely made available to the maritime industry. Further, without competition, in what is an otherwise commercially focused arena, lone imposed standards may fall foul of anti-competition rules and legislations. The maritime environment is of course is an entirely different environment to that of both established and emerging land-based operations, often undertaken with the backing of a UN mandate following a period of war-fighting as part of an international, non-international or internal armed conflict, often involving NATO forces and where the Law of Armed Conflict may have been invoked. In stark comparison and as most readers will know, piracy, armed robbery and hijacking are criminal acts that require a constabulary response and hence the restriction in the maritime environment, (outside of armed conflict) for the need for recognised RUF, as opposed to offensive Rules of Engagement (ROE). In tandem with the text of the American National Standard PSC 1-2012 ‘Management System for Quality of Private Security Company Operations – Requirements with Guidance’ and reassuringly so, the 100 Series Rules includes the same consideration and understanding for the need of the requirement for human rights at a State, commercial and individual level. The essence and intent of the American and European Human Rights Conventions, as well as the UN Universal Declaration of Human Rights and supporting texts have been rightly integrated as part of the comprehensive approach to the issue of maritime RUF. Furthermore, 9 Bedford Row International (9BRi) Chambers’ Maritime Practice, will shortly be releasing the first international model guideline document “Model Guiding Principles and Best Practice for Human Rights Considerations in the Maritime Industry” ©Copyright 2013 9BRi. It will be available through http://www.100seriesrules.com/Human_Rights. This will be for the reference and use by the maritime (including the maritime security) industry and interested third parties. It will be based upon current international conventions and decided international case law, backed by a comprehensive legal advice. Currently, there stands a lawful international model for maritime RUF that works, is internationally supported, widely socialised and rapidly growing so. As a model set of actual rules, the 100 Series addresses the commercial requirements of the international maritime industry in greater depth than any other currently available RUF guidance and there are no cogent reasons why the established 100 Series cannot complement emerging land standards. As seen with the development of Best Management Practice (BMP), the 100 Series Rules will remain at the disposal and for the use of the international maritime industry. It will be an iterative document that will develop over time, but most importantly, it should not be undermined by entities seeking commercial advantage at the expense of supporting and protecting seafarers in undertaking often difficult and dangerous roles at sea. After a lengthy incubation process, the 100 Series Rules have finally been released. Courtesy of the author, David Hammond, we have obtained a copy here. The 100 Series Rules are an international model standard and example benchmark of best practice for the use of force in the maritime security and anti-piracy fields for application by privately contracted armed security personnel (PCASP) and private maritime security companies (PMSCs) on board ships. The Rules are set out for the benefit of the Master, Ship owner, charterer, insurer, underwriters, PMSCs, PCASP and interested third parties, providing guidance on lawful graduated response measures and lawful use of force, including lethal force, in accordance with the right of self-defence in the context of maritime piracy, armed robbery or hijacking. The Rules aim to provide for transparency of rules, clarity in use and accountability of actions in those situations, and hope to fill gaps in these areas often lamented by the stakeholders of maritime industry and maritime security. The 100 Series Rules have been developed for the benefit of the entire maritime industry and under-pinned by a thorough public international and criminal law legal review of what is “reasonable and necessary” when force is used, as a lawful last resort, in self-defence. Further details about the 100 Series Rules can be found at www.100seriesrules.com. Cross-posted at international law girls. In my capacity as an independent academic, as well as a representative of the prominent non-governmental organization, the Public International Law and Policy Group, I had the honor of attending the 12th meeting of the United Nations Contact Group on Piracy off the Coast of Somalia, Working Group 2, meeting in Copenhagen, on April 10-11. I will take this opportunity to briefly summarize some of the key legal issues that were discussed in Copenhagen. First, many nations seem to be moving in favor of authorizing the use of private security guards on board their merchant vessels. The use of such private security guards is controversial, and many in the international community feel a general sense of discomfort any times states delegate their traditional duties to private entities. Others have expressed the view that the use of private security guards on board merchant vessels should be allowed only under strictly delineated guidelines and rules on the use of force. Contrary to popular belief, such guidelines and rules exist already. Several International Maritime Organization Circulars provide guidance on matters related to the employment of private security personnel on board merchant vessels. The Baltic and International Maritime Council (BIMCO) has drafted and made publicly available a standard employment contract between a shipping company and private security providers. BIMCO has also issued specific Guidance on the Rule of the Use of Force, which suggest under which circumstances private security personnel may use force, including lethal force, against suspected pirates. The International Organization for Standardization (ISO) issued additional Guidance for private security personnel on board ships, as well as a pro forma contract. Finally, the Montreux Document provides international law rules applicable to the conduct of private security providers during armed conflict. Although this Document most likely does not apply to the Somali piracy context because of the absence of armed conflict, it nonetheless sheds light on the international community’s consensus regarding the international law responsibilities of private security providers, operating in a domain otherwise reserved to state powers. In addition to the above-mentioned guidance, international treaty law provides rules regarding the master of a ship’s duties on the high seas, in a situation where a merchant vessel may be under attack by suspected pirates, regardless of the presence of private security contractors on board. It is clear under the United Nations Convention on the Law of the Sea as well as under the SUA Convention that the master of a ship retains authority on board his or her vessel, that the master may order any private security personnel to cease using force against suspected pirates at any time, and that the delegation of power from the master to the private security personnel during a piracy incident is temporary. The general sentiment in Copenhagen was that numerous existing guidelines, principles, and treaty law obligations apply to any use of private security personnel on board merchant vessels, and that states have plenty to work with when determining whether and how to authorize the use of private security on board their own vessels. Second, states remain concerned with legal issues related to the treatment of juvenile pirates (I had previously reported on this issue from the last Working Group 2 meeting in September 2012). In order to ensure that juvenile pirates are treated according to relevant human rights standards and practices, states have begun developing guidelines on the treatment of juvenile pirates. Such guidelines include the necessity to segregate juvenile suspects from the general prison population, to provide educational and vocational opportunities for juveniles, and to generally rehabilitate them so that they re-enter society upon their release and engage in legal, as opposed to criminal, activities. These proposed guidelines will remain the subject of future Working Group 2 meetings. Third, states remain committed to the post-conviction transfer model: the idea that pirates, if they are successfully prosecuted and convicted in Kenya, the Seychelles, or Mauritius, will be transferred back to Somaliland or Puntland where they will serve their penal sentences. This model is important for two reasons. First, it relieves small capacity nations such as the Seychelles and Mauritius from having to detain convicted pirates for long period of time in their own prisons; prosecutorial nations can, under this model, accept more suspected pirates because they will not run out of detention space. Second and more importantly, the post-conviction transfer model allows pirates to return home – although they will not be immediately freed upon re-entering their native land, they will presumably be reunited with their families through prison visits and return to their own communities after the end of their sentences. Any post-conviction transfer requires the successful fulfillment of the following criteria: the applicant must be at least 18; he or she must waive any existing appeals (the sentence must be final); he or she must consent to the transfer; all relevant states, including the apprehending state, the transferring state, and the receiving state, must agree to the transfer. As discussed in Copenhagen, the post-conviction transfer model has been used successfully thus far, and 59 pirates have been transferred to Somaliland and Puntland as of today. Finally, states have expressed an important concern regarding hostages. In many instances, pirate hostages spend months in captivity under very difficult conditions. Once hostages are released, they may be confused, mentally or physically injured, and may have no meaningful way of returning to their home states. Several states in Copenhagen expressed the view that it is important to create a hostage release program that would maintain contact with released hostages in order to enable them to successfully return to a normal life after captivity. The work of Working Group 2 thus far has been outstanding. It demonstrates that states can, through joint legal efforts and cooperation, contribute significantly to the global fight against Somali piracy. Global Policy Journal and the Greenwich Maritime Institute are hosting a seminar on contemporary maritime piracy. This is the theme of a special section published in the February 2013 issue of Global Policy, edited by Dr Christian Bueger of Cardiff University. The seminar will take place on April 17th from 18.00-20.00 in the Howe Lecture Theatre, Queen Anne Court, Greenwich Campus of Greenwich University. The event is free to attend and hosted by the Greenwich Maritime Institute. 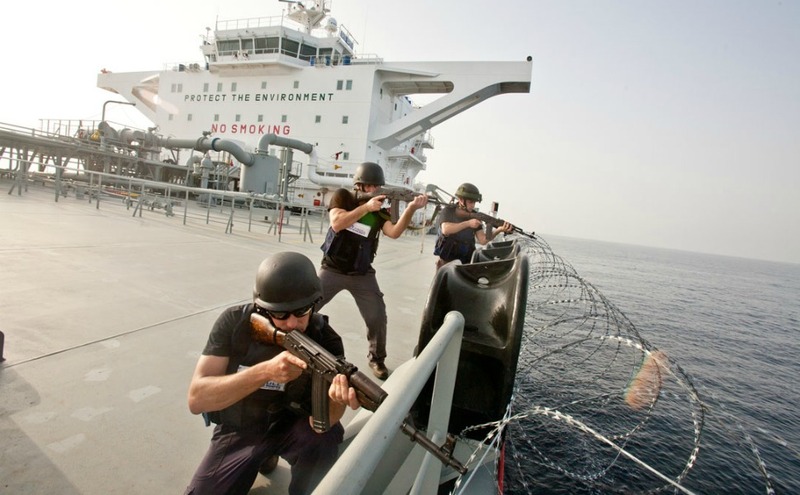 The fight against maritime piracy remains a crucial global challenge. Current incident numbers indicate that piracy in Eastern African waters is in decline and that the measures taken by the international community and the shipping industry have been effective. Yet, the global fight against piracy is not won. Questions have to be addressed how piracy can be contained and prevented in the long run, beyond the engagement of international naval forces. What are the lessons learned from our experience with Somali piracy? What help can be expected from development aid? How can state building assist maritime security? What role should navies have in ensuring good order at sea? What contributions can the transport industry make to prevent and contain piracy? What types of global and regional governance institutions will be required to prevent further outbreaks of piracy? The authors and panelists will address these and other questions based on their practical and academic expertise. Confirmed panellists include Professor Christopher Bellamy, (Director of the Greenwich Maritime Institute) Dr Christian Bueger (Cardiff University), Dr Douglas Guilfoyle (University College London), Dr Axel Klein (University of Kent), Dr Anja Shortland (Brunel University), as well as representatives from the maritime security sector.